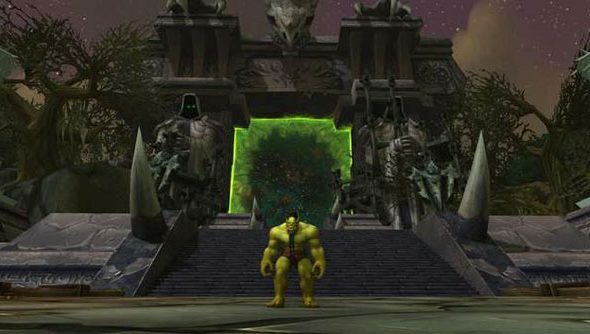 Blizzard have dedicated a set of realms in World of Warcraft to ‘Oceanic’ players for a long while now – but they’ve always run on datacenters in other continents. That’s to change in the weeks before the release of Warlords of Draenor. A new bank of servers in Australia will serve the country and New Zealand with that greatest of gifts: reduced latency. Players already on an Oceanic realm – namely Barthilas, Frostmourne, Thaurissan, Saurfang, Caelestrasz, Jubei’Thos, Khaz’goroth, Aman’Thul, Nagrand, Dath’Remar, Dreadmaul, or Gundrak – will be switched over to the new machines automatically once they arrive. Blizzard are aiming to have them installed before Warlords of Draenor’s release date of November 13. “This new infrastructure should provide a significant smoother gameplay experience for players in the region,” announced the developers yesterday. The new servers will communicate with WoW’s existing US hardware, so Oceanic-region players can still play with friends on North American servers if they like. But Blizzard will also offer subscribers based in Australian and New Zealand a two-week window to transfer their characters to an Oceanic server for free. Players will be required to buy paid Character Transfers, but will be given full refunds within 72 hours. WoW’s Oceanic servers will be taken offline on Tuesday for scheduled maintenance ahead of the switch – but no characters, gold, or guilds on those realms will be altered in the process. Are any of you lot in a geographical position to take advantage? If not, know that World of Warcraft character transfers come at a discount right now wherever you live.